Photo restoration services are most important image editing service for the damaged, old, torn images to restore the missing objects and parts. If you have any damaged photos with you, just send it to outsourceimage for photo restoration service to obtain the damaged parts on your images. Whether if you are in any photography related business or individual portrait image customers immediately approach outsourceimage for this professional photo restoration service. 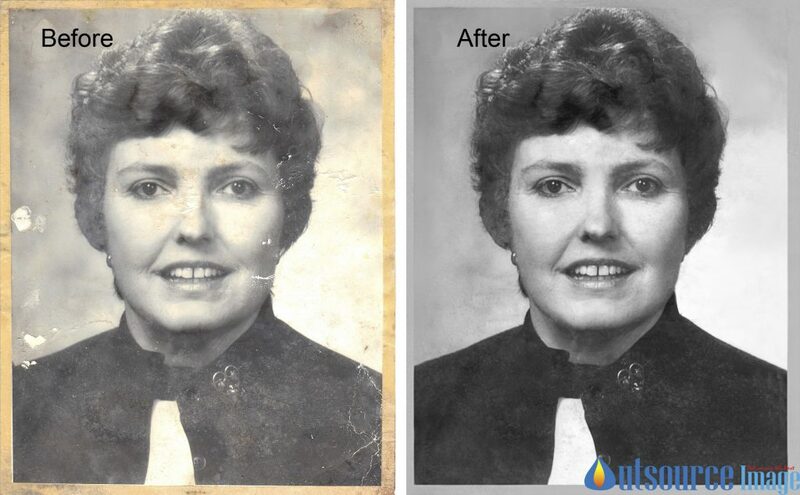 Image restoration service is not a simple service it has more restoring skill fill the missing parts in photography. We are having that type ofcreating skill to create new parts instead of that missing parts and objects. Memorable photos must keep with good quality to enjoy it with future. In past year ago there is no any advanced image editing tools and atmosphere with fantastic structures to handle the image for advanced restore damaged photo editing techniques. More peoples are having the chance to spoil their own young age photos which are in paper format. We are helping you and taking you to your past memories to feel your own joy by our world best restore damaged photo editing service. By using the advanced techniques on your damaged photos we will bring the originality even the image contains more critical and bad looking. We are the incredible quality service providers in this retouching the old photos. Most of the service providers in this section they are using the automatic image conversion of black and white to colored images. But ‘Outsourceimage’ was using the manual editing process to handle those services for obtaining the high-quality old image retouching. Simply our service in this restoring old photo is in the mode of Digital recoloring technique. It mentions that the color matching is perfect matching with all the parts in the image photography.